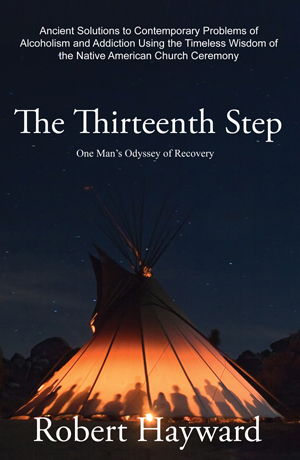 Robert Hayward, published book author, certified drug and alcohol counselor, motivational/educational speaker, and Native American from the Ho-Chunk Winnebago tribe, tells a true and very personal, gut wrenching and heartwarming account of his 26 year struggle with drugs and alcohol, and a very uplifting story of victory and freedom from that destructive lifestyle. From casual use starting at age 14, he eventually becomes dangerously involved in drug manufacturing and distribution, hopelessly addicted and flirting with death from angry competition and out of control alcoholism. As a last, desperate cry for help, he winds up in an ancient Native American all night tipi ceremony, something a reclusive medicine man had predicted 25 years earlier, at the very same location. This groundbreaking story reveals for the firsts time ever the details of the Native American Church Ceremony, allowing the reader inside this sacred and jealously guarded prayer service, to take part in every aspect of the oldest Pan-Tribal traditional ceremony still practiced regularly by hundreds of thousands of Native Americans. For more news, and a calendar of upcoming talks and book-signing events, please visit Robert Hayward’s Official Blog, at the Native Son Publishers Author Network.